According to Yahoo! Sports Jeff Passan, free agent outfielder Shin Soo-Choo declined a 7-year, $140 million contract offer from the New York Yankees earlier this month. The report came shortly after the Yankees signed Jacoby Ellsbury for 7-years, $153 million. New York moved on from Choo and quickly signed Carlos Beltran for 3-years, $45 million. 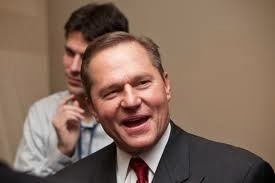 Agent Scott Boras countered the offer made by the Yankees, reporting that his client was seeking "Ellsbury Money". This now means that New York is no longer an option for Choo. The Texas Rangers are also out of the race for Choo, who are now focusing on signing Japanese pitcher Masahiro Tanaka, according to reports. Although the Rangers and Yankees are out of the picture, Choo still has interests from quite a few teams. The Houston Astros and Seattle Mariners have reportedly been connected to him, possibly willing to shell out more than $20 million per year for the 31-year old. The Mariners have already signed second baseman Robinson Cano to the third biggest contract in MLB history, as both sides agreed to a 10-year, $240 million deal. Seattle will also bring back outfielder Franklin Gutierrez next season after signing him to a 1-year, $1 million contract earlier Wednesday. The Mariners will also have Corey Hart, Logan Morrison and many other key players from last year back in the lineup that will provide plenty of support for Choo if he decides to head out West. If Choo chooses to go to the Houston Astros next season, adding his talent to an outfield that already consists of Dexter Fowler and highly regarded prospect George Springer will most definitely help the Houston Astros climb out of the American League cellar, Passan writes. 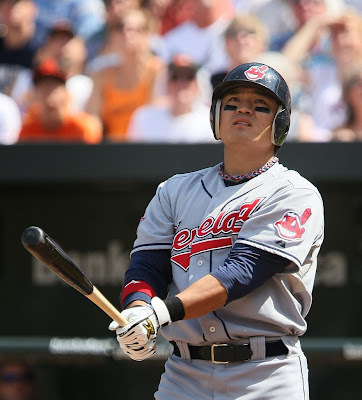 Choo might have to give up a year towards rebuilding, but joining a team that has Jason Castro, Jose Altuve, Scott Feldman and first round draft picks Carlos Correa and Mark Appel, Houston could be well equipped and well ready to compete in 2015 and beyond. According to CBSSports.com, Shin-Soo Choo ranks as the best available position player in the free agent market this offseason. Choo is coming off of one of his best seasons in his 9-year career. In 154 games with the Cincinnati Reds, Choo batted .285/.423/.462 with 21 homeruns and 54 RBI. The main issue with Choo is that signing him comes with a hefty price tag for long term. Hoping to sign a 7-year contract for more than $20 million, it's uncertain whether he will keep consistently posting the same numbers he did back during his tenure in Cleveland and last season, as he will turn 38 after his desired contract expires in 2020. Choo will get paid this offseason, but it'll be difficult for Boras and his client to find a team that will exceed the New York Yankee's original offer.